Aging is a beautiful (and inevitable) part of life. Enjoying your golden years comes down to two things: taking care of yourself physically and mentally, and living in the present. Here are some tips for living well at any age—after all; it’s just a number, right? Don’t quit: Some people, as they age, give up on life. They think, “It’s too late now,” “I’m too old for that,” or “My best years are behind me.” But that’s counterproductive. Your senior years shouldn’t be a time of stagnation; they should be a time for relaxing, learning new things, and being with the people you love. You’ve worked hard to get here; so don’t resign yourself to sitting on the sidelines. Eat to live: While some physical problems are part and parcel of aging, many of the ailments that plague today’s seniors aren’t. Instead, they’re the result of a lifestyle of poor nutrition. And that’s true even for the most affluent seniors; just because you have plenty of food doesn’t mean it’s nutritious. Still, it’s never too late to make changes. Drink more water, increase your intake of fruits and vegetables, and cut down on things like fats, sugar, caffeine, and alcohol. Check with your doctor for specific recommendations, but realize that your body and mind need healthy, nutritious food to help you keep doing the things you love. Keep moving: There’s one part of aging that has a nasty tendency to feed on itself, and that’s a lack of physical activity. You may get tired more easily, and it’s tempting to sit down, put your feet up, and reach for the remote control. When you do that, you put yourself in a cycle that makes you tired even more quickly, and your joints might start stiffen. Ask your doctor to recommend some gentle exercises that are right for your physical condition, and stick to your routine even on days when you’d rather just watch TV. The more you move, the more you’ll be able to keep moving. Weight it out: Weight-bearing exercises are good for your bones. They also strengthen your muscles and improve your coordination, which reduces the risk of the falls that result in broken bones. Ask your doctor to recommend some exercises you can do at home, or consider joining a gym. Be social: Sitting at home alone can lead to depression. Instead, participate in group activities with other people your age. Or, volunteer at your grandkids’ school. You can even take college classes, or start working on a degree. The point is to exercise your mind and spirit—something that’s hard to do when you’re isolated. Get a pet: Studies have shown that seniors with pets are healthier. The combination of companionship and increased physical activity that goes with owning a pet improves outlook, and provides more opportunities for exercise. If you’re not sure you have the commitment or energy to adopt a new pet, try fostering one from an animal shelter while it waits for its new family. 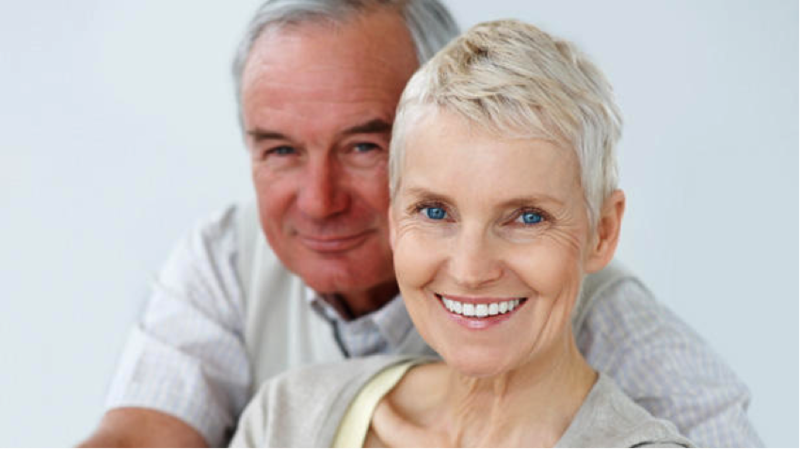 Get regular checkups: Physical deterioration is not necessarily a normal part of aging. Schedule regular checkups so that you and your physician can identify problems before they become debilitating or dangerous. Take your medicine: If you’re on medication, take it regularly. Don’t skip days to stretch it out or because you’ve run out and haven’t gotten a refill. Don’t take more than you’re supposed to, either. And make sure you understand the reason for every medication you’re on – some may no longer be necessary. Happy, healthy aging isn’t an oxymoron. Many people have achieved it, and so can you. Whether you need to make physical changes or adjust your mindset, get started today so you make the most out of tomorrow.